Are you digital tax ready? The end of the tax return is nigh...digital tax is to become a reality. From 2019 interaction with HMRC will become increasingly digital, with businesses using Cloud accountancy software packages (apps) set to record business activity. Ellis & Co are experts in Sage, Xero, QuickBooks and FreeAgent accounting software. Preparing accounts is a fundamental part of the service we offer our clients. We have helped prepare accounts for businesses across many different industries for 25 years, ranging from limited companies to limited liability partnerships and sole traders to partnerships. Each client at Ellis & Co is assigned a dedicated account manager who can advise you on all aspects of your accounts, business strategy and tax planning. The Ellis & Co tax team can advise you on a full range of tax issues including corporation tax, income tax, capital gains tax, tax planning and enquiries, company car planning, self assessment, VAT, inheritance tax, national insurance contributions, property tax planning and how to protect family wealth through trusts and estates. Ellis & Co has many years of specialist knowledge and experience that has saved our clients considerable sums of money. Our Tax Manager Peter Way-Rider is on hand to answer all your queries and ensure our clients are claiming all eligible tax reliefs. Our team of experienced accountants at Ellis & Co believes that business development advice should always accompany solid accountancy advice. Ellis & Co will work closely with you to develop a business plan to include financial projections and cash flow forecasts. We can also offer your business our very own business performance diagnostic tool which helps us to recognise key areas for improvement. 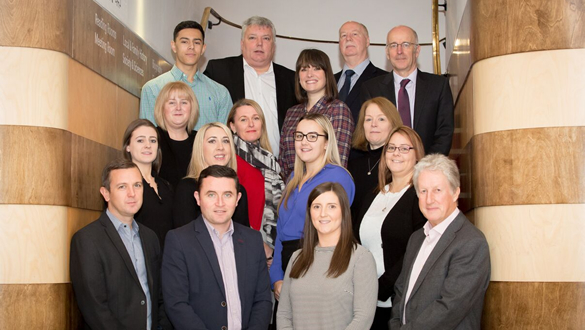 Ellis & Co was established in 1989 and is one of the leading accountants in Chester and Wrexham, helping hundreds of businesses across Cheshire and North Wales develop and thrive. Our team of expert advisers works across a large portfolio of clients in all industry sectors, providing businesses with a strategy for growth and financial management. At Ellis & Co our experienced team has the knowledge and expertise to help your business develop and grow in changeable economic climates. You may be looking for advice on starting a new business, help with completing a tax return, becoming a limited company, saving for retirement or inheritance tax planning. Whatever your query, Ellis & Co will be able to advise you. "The service has always been courteous and polite and I would recommend Ellis & Co to any person or business who needs an accountant." "I find it really useful to be able to ring the office about anything and that no question is too small." The services we offer at Ellis & Co are varied and range from accounting to providing business development and start up advice and financial management. We also offer employees training in the use of accountancy software, carrying out a company secretarial role for businesses and in undertaking business valuations. We pride ourselves in going beyond straight forward number crunching and taxation advice by offering clients added value in the form of a clear business strategy. The accounting services we offer our clients include the preparation of annual accounts, the preparation of periodic management accounts, bookkeeping, the maintenance of payroll and VAT records and associated returns and performance analysis. We are more than just accountants, however, and we can offer you a complimentary meeting with a qualified business adviser twice a year to talk about relevant issues facing your sector. The team at Ellis & Co can work with you to develop an action plan for growth and inform you of local business support initiatives. Ellis & Co has a vast portfolio of clients that rely on our up-to-date business knowledge and expertise. We have a dedicated account manager assigned to each client and are always delighted to hear from new clients across a broad range of industry sectors.